(CNSNews.com) - Rep. Ilhan Omar (D.-Minn.) said in a Thursday morning hearing of the House Education and Labor Committee that the Chief Executive Officer of McDonald’s gets paid $21.8 million a year while the median earnings for workers at the restaurant chain “who put in 40 hours a day” is $7000 per year. The hearing was examining the possibility of lifting the federal minimum wage to $15 per hour. 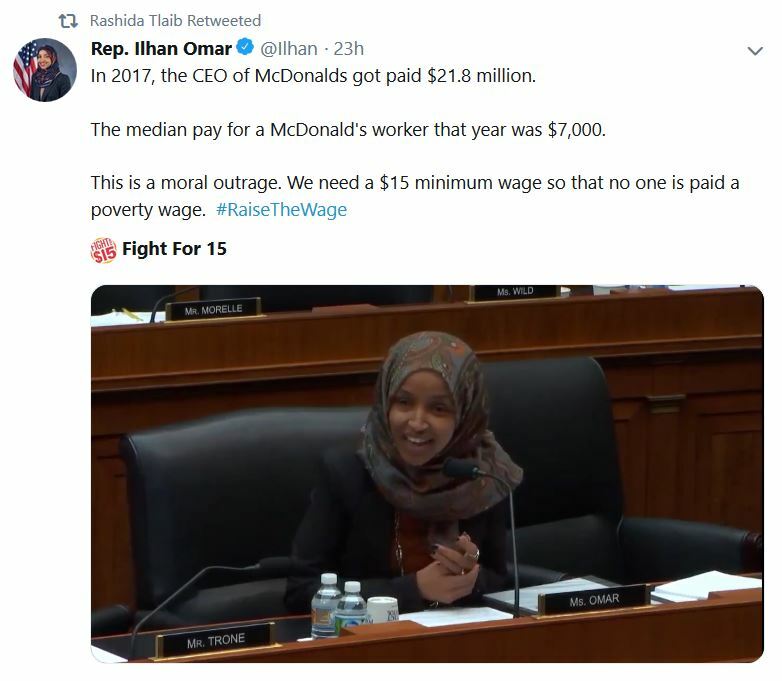 On Thursday evening, Omar tweeted out a video clip of her talking at the hearing about McDonald's workers who put in “40 hours a day.” Rep. Rashida Tlaib (D.-Mich.) then retweeted Omar’s tweet. Omar made the remark—which she then Tweeted in the video clip--in an exchange with Terrence Wise, a McDonald's worker from Missouri, who was testifying at the hearing. 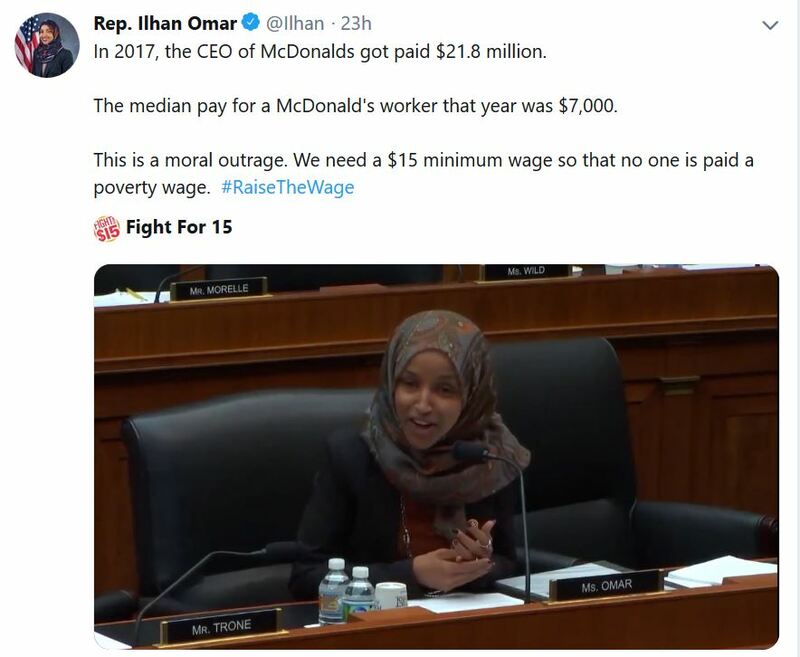 Rep. Omar: “So, the CEO of McDonald's gets paid $21.8 million. Can you share with us what someone in your position at McDonalds gets paid annually? Rep. Rashida Tlaib retweeted Omar’s tweet without commenting on it.